Visiting Brisbane and looking for a place to swim? Nice choice! Don't forget to tell us how did it go. 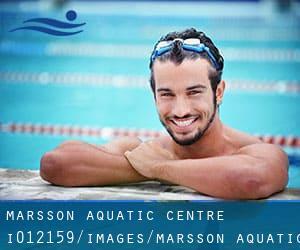 Introducing now Marsson Aquatic Centre swimming pool, a great swimming pool sent by a swimmer like you few days ago. Have you visit this pool? Do you work here? Please, make contact with us when you have facts that you simply think is gonna be useful and keep in mind from now on it is possible to now promote each and every pool just by sharing this page with your close friends or adding comments in the Facebook boxes below. Come on and assist this pool to be the first in Brisbane! Among all the activities provided by the centre, in case you are thinking about swimming you might enjoy 25 meters, 10 lanes, Outdoors. Write down the GPS coordinates we've on our file for this Pool, so you can enter them into your GPS to support you locate the Swimming Pool easily. Updated on 2019 461-473 Lutwyche Rd , Lutwyche , Brisbane Metropolitan Area , QLD , AUSTRALIA (Postal Code: 4030). Among all the activities provided by the centre, for anyone who is interested in swimming you can delight in 20 meters, Indoors. Just in case you want to contact this Swimming Pool prior to dropping by, we only know the phone number. Updated on 2019 At the corner of Anthony and Massey Streets , Ascot , Brisbane Metropolitan Area , QLD , AUSTRALIA (Postal Code: 4007). Among all of the activities offered by the centre, if you are considering swimming you can expect to get pleasure from 25 meters, 6 lanes, Outdoors. Updated on 2019 At the corner of Wecker and Newnham Roads , Mansfield , Brisbane Metropolitan Area , QLD , AUSTRALIA (Postal Code: 4122). Among all the activities provided by the centre, in case you are thinking about swimming you might enjoy 25 meters, Salt Water, Outdoors. Just in case you need to contact this Swimming Pool before dropping by, we only know the phone number. 231 Flinders Parade , Sandgate , Brisbane Metropolitan Area , QLD , AUSTRALIA (Postal Code: 4000). Among all the activities offered by the centre, if you are enthusiastic about swimming you will take pleasure in Olympic size, 8 lanes, Outdoors. Just in case you need to get in touch with this Pool prior to dropping by, we only know the phone number. 135 Pring Street , Hendra , Brisbane Metropolitan Area , QLD , AUSTRALIA (Postal Code: 4011). Swimmers like you reported 25 meters, 6 lanes, 1.2 meters - 1.5 meters depth, 1.2 meters - 1.5 meters depth, Outdoors. Phone number and email address are number for this Pool. 2 Zahel Street , Carina , Brisbane Metropolitan Area , QLD , AUSTRALIA (Postal Code: 4152). This great and large sports centre lets professional swimmers like you enjoy Olympic size, 8 lanes, Outdoors. Additionally, within these facilities you can try 25 meters, 8 lanes, Indoors. Phone number and e-mail address are number for this Pool. 128 Link Rd. , Victoria Point , Brisbane Metropolitan Area , QLD , AUSTRALIA (Postal Code: 4165). Swimmers like you reported 25 meters, 8 lanes, Outdoors. Phone number and e-mail address are number for this Swimming Pool. 1 Fairlead Crescent , Manly , Brisbane Metropolitan Area , QLD , AUSTRALIA (Postal Code: 4179). Among all the activities offered by the centre, if you are enthusiastic about swimming you will take pleasure in 25 meters, Outdoors. Just in case you need to get in touch with this Pool prior to dropping by, we only know the phone number. Russell Street , Cleveland , Brisbane Metropolitan Area , QLD , AUSTRALIA (Postal Code: 4163). This great and large sports centre lets professional swimmers like you enjoy Olympic size x 20 meters, 8 lanes, Outdoors. Additionally, within these facilities you can try 25 meters x 12.5 meters, 6 lanes, Outdoors. Unfortunately we do not have the email address of this Swimming Pool, but we can provide you with the phone number. Updated on 2019 7 High Street at the corner of High St. & Forest Lake Boulevard , Forest Lake , Brisbane Metropolitan Area , QLD , AUSTRALIA (Postal Code: 4078). Among all the activities supplied by the centre, if you are interested in swimming you will enjoy 25 meters, 6 lanes, Indoors. Just in case you desire to contact this Swimming Pool just before dropping by, we only know the phone number. Ferny Way , Ferny Hills , Brisbane Metropolitan Area , QLD , AUSTRALIA (Postal Code: 4055). Among all the activities provided by the centre, in case you are thinking about swimming you might enjoy Olympic size, Outdoors. Just in case you need to contact this Swimming Pool before dropping by, we only know the phone number. 4 Stephens Road , South Brisbane , Brisbane Metropolitan Area , QLD , AUSTRALIA (Postal Code: 4101). Swimmers like you reported Olympic size x 25 meters, 8 lanes. 1.8 meters depth, 8 lanes. 1.8 meters depth, 8 lanes. 1.8 meters depth, Outdoors. Phone number and e-mail address are number for this Pool. Level 1 , 44 Musk Avenue , Kelvin Grove , Brisbane Metropolitan Area , QLD , AUSTRALIA (Postal Code: 4012). This sports centre gives 25 meters, 8 lanes, Indoors. Contact information for this Swimming Pool like phone number and e-mail address are number. Griffith University , Mesines Ridge Road , Mt. Gravatt , Brisbane Metropolitan Area , QLD , AUSTRALIA (Postal Code: 4122). This sports centre offers 25 meters, 8 lanes, Outdoors. For this Swimming Pool, only phone number is number here. Corner of Union Road and Blair Drive , St. Lucia , Brisbane Metropolitan Area , QLD , AUSTRALIA (Postal Code: 4067). This sports centre offers Olympic size, 9 lanes, Outdoors. Contact details for this Swimming Pool for example phone number and email address are number.